The sprawling farm consists of a herd of 12,000 plus cows and heifers of Holstein Friesian breed. The farm produces superior quality milk in excess of 130,000 lits daily on an average. Cows are milked through state-of-art milking facilities. The fresh raw-milk is then processed and converted into a range of dairy products under very stringent quality controls. 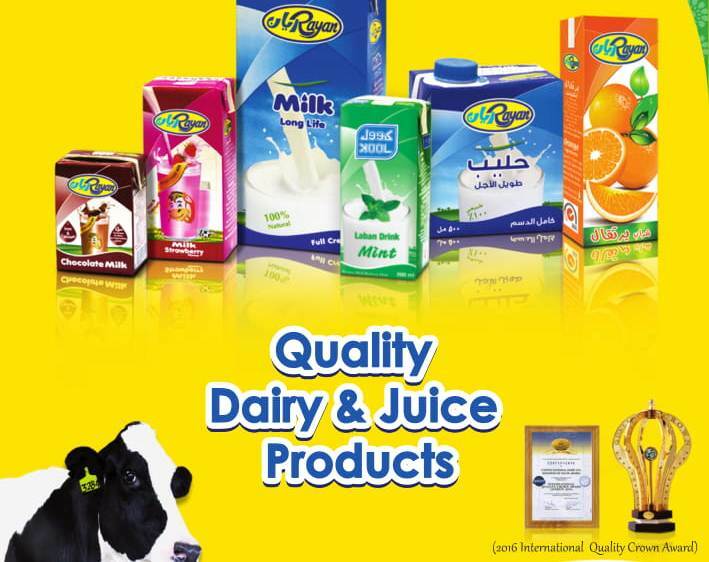 The finished products are marketed under the popular brand names of “Rayan” and “Kool”. The products are distributed through a retail network of around 7,200 grocery outlets served on daily basis in the Eastern Province, Riyadh as well as neighboring Kingdom of Bahrain.